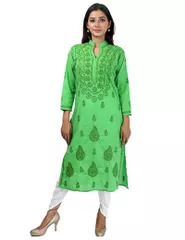 Alluring light green, cotton kurti. 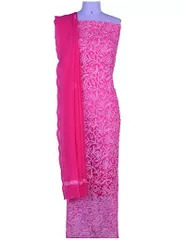 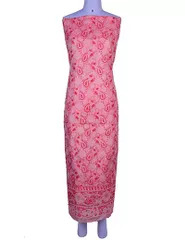 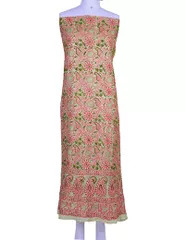 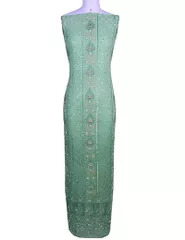 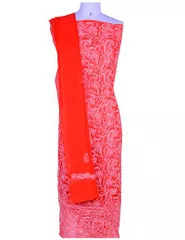 Adorned with intricate chikankari work in matching thread. 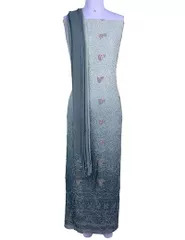 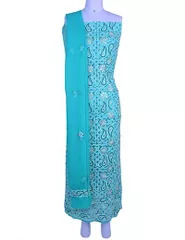 This straight, long kurti is gracefully enhanced with bel-booti, chana patti and murri pattern on the neck and all-over. 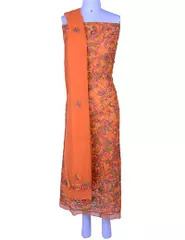 Styled with Kashmiri-gala and full sleeves, the kurti is a perfect ethnic summer outfit. 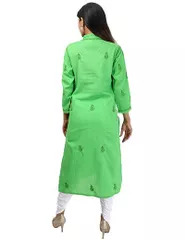 Keep your look lively as you wear this stand collar neck Style Green cotton kurti from Rohia By Chhangamal. 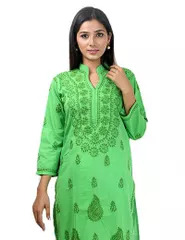 A beautiful Chikankari Kurti embellished with chikankari work like Ghas Patti, Chana Patti and Murri embroidered with fine quality Dark Green Cotton thread. 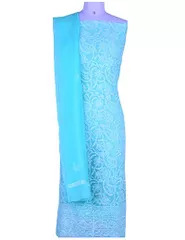 This Cotton kurti can be worn on special occasions and can also be used as a casual wear. 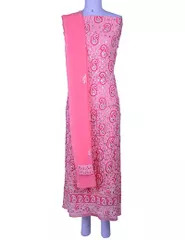 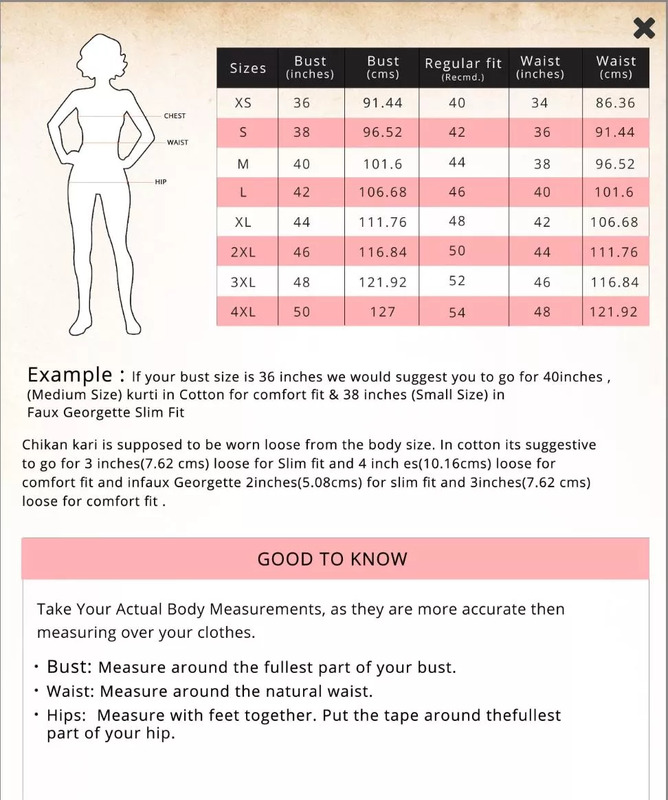 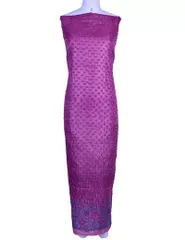 It is recommended to wear with Chooridars/Leggings or plazzos beneath it. 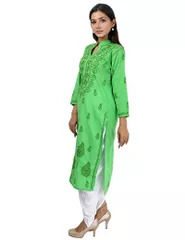 This Kurti With Regular Fit Will Enhance Your Curves And Soft Cotton Will Keep You Comfortable.